Blood and Iron: Rebellion is a further step into historical fantasy for me. It’s no secret to anyone that has read Gladiatrix, Roma Victrix or Imperatrix that I like strong female characters! But often, the facts are in direct opposition to what I would have liked to have done as a writer. In Imperatrix, I took my first baby-step into the historical fantasy genre – as I mention in the author’s notes, the events in the climax of that book would not have happened. I hoped that in Imperatrix, the events were a least somewhat plausible if not strictly true-to-fact, but I did not want to continue writing under a pure historical banner and not deliver to readers’ expectations. I am currently writing the first in what I hope will become an ongoing series. Blood and Iron is set in a world very similar to our own and is “reality-based” in that there are no elves and wizards, magic and orcs. I would like to think it is heroic-fantasy in the same vein (but not in the same league, division or planet of course) as the great David Gemmell. My story takes place in the “Hellenistic” period of that world. It occurs fifteen years after the death of Neoptolemus the Conqueror – a man who brought an ancient empire to its knees and set himself up as ruler of the known world. However Neoptolemus died young with no heir – and his generals – formally fast friends – went swiftly from sworn brotherhood to fighting over who would claim the Conqueror’s mantle. The Empire was duly carved up between these “successors” and now an uneasy peace exists between them. A general of Neoptolemus – Cassandros – rules Neoptolemus’s homeland of Emathia. Under his sway are the lands of Aeolia and to the south, Akhaia. Whilst the Aeolians share a cultural similarity with their Emathian overlords, the city-states of Akhaia are fractious and were – until Emathians forced them to unity – constantly at each other’s throats fighting many and frequent wars. There are hundreds of small city-states in Akhaia, but these small towns and hamlets are allied to the formerly big players: the multi-cultural, democratic and birth-place of art, literature and philosophy – Pallas, the decadent and rich Tethys, whose Queen holds sway over a powerful navy and trading fleet and the harsh, secretive and militaristic state of Karnaia. 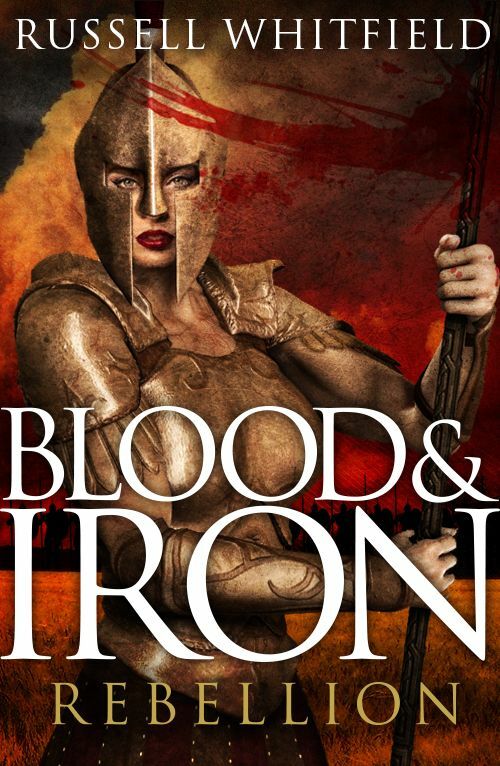 In my story Blood and Iron: Rebellion, the meeting of the Karnaian princess – Athenaia – and the son of Cassandros – Craterus – plunges the south into a war with their Emathian overlords. A war that Cassandros knows threatens not only his own province but also peace throughout Neoptolemus’s former empire. If one “successor” is weakened, the others will pounce and in doing so will come to blows with each other. It is a world teetering on the brink of total war. If any of the background sounds familiar – it should. 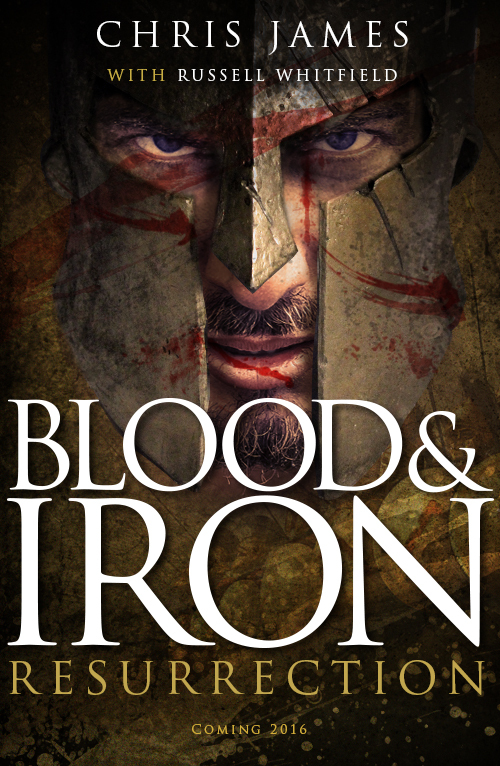 I wanted to base Blood and Iron in a recognisably Hellenic world and thus allow readers familiar with Greek history to “be in the know” and recognise Neoptolemus as Alexander the Great, Emathia as Macedon, Pallas as Athens and so on. For those that don’t know the history, I’m hoping that they will enjoy the story for what I hope it will be: a cracking, fast-paced read, full of action, hope, despair – and of course, blood and iron. The difference with this series is that it won’t just be me writing it. Having established a world that is essentially our own but with some fantasy differences thrown into the mix, we have what I hope is a sandbox for other writers. The Blood and Iron books will be released initially in electronic format and the plan is to have other writers join myself and new writer Chris James in this world. The stories could over-lap, they may have characters that straddle a number of books, they may be completely independent. That will be up to the writers themselves. I have spoken to a number of fellow published writers and they are interested in working in the sandbox. However, we also want to make the sandbox available to unpublished writers once the ball is rolling properly. We would put a call out for submissions, evaluate a writing sample and if it’s good – then that writer comes to the party and gets his or her books out under the same banner. We hope in this way we can pay it forward and help good writers find an audience and we hope that that audience will have many different stories based in this universe to enjoy. Anyone that has written a book knows that the key is not really in the writing: it's in the editing. The difference between what a writer turns in and what ends up in print or e-book format are sometimes much different. Certainly this was the case with my first novel "Gladiatrix." I learned a lot on that one, and "Roma Victrix" and "Imperatrix" were less changed in terms of structure, but without the keen eye of the editor, those books would not have worked at all. To this end, I would encourage any and all writers with a project to approach Border Scripts. I cannot stress how great the team there are: real professionals, eagle eye for detail but also masters at the craft of making a story work well. Border Scripts will be our go-to team on the "Blood and Iron" project and whilst we wouldn't dream of saying who prospective writers should use for editing services, we would like to encourage them to work with Border Scripts. Certainly, I would never have seen print if not for them and I can't recommend their services highly enough. Of course, all that's down the road a bit - Now all we have to do is finish the first books and we’re away!